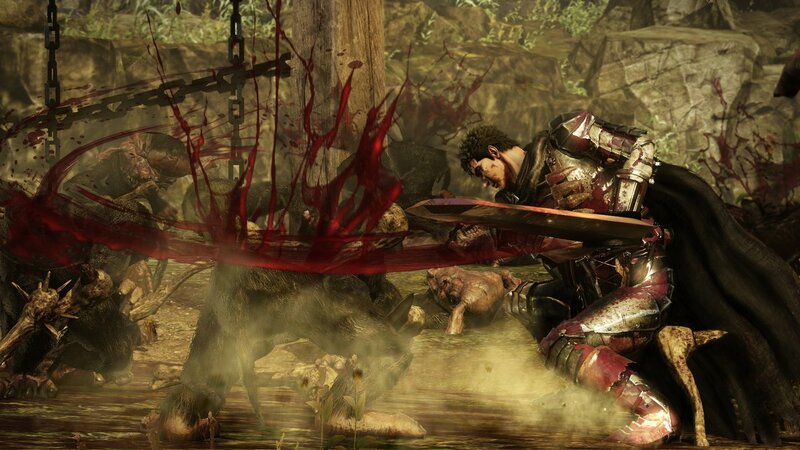 Berserk And the Band of the Hawk, the hack and slash game based on the manga series created by Kentaro Miura, has been released in Japan last week, but Western players still have to wait a bit more before being able to battle the God Hand and its monstrous Apostles. Thankfully, Koei Tecmo has recently released some new footage that will make the wait more bearable. The new Berserk And the Band of the Hawk English gameplay footage, recently taken during MCM, focuses on Guts as he obliterates hordes of troll during one of the game’s missions. At the end of the video, Guts faces a much more dangerous enemy, an Ogre, which requires more effort to defeat. You can check out the new footage right below. Last week, another Berserk And the Band of the Hawk trailer has been made available, showing Guts and Griffith as they destroy hordes of enemies. The trailer also shows some of the bosses players will have to face during the game, like the fearsome Count, the member of the new Band of the Hawk Grunbeld, and God Hand’s Slan herself. Berserk And The Band of the Hawk tries to recapture the spirit of the series, offering a brutal gameplay experience and the ability to live through some of the most important events in its main campaign mode. In this game, in addition to the well-known and popular “Golden Age Arc”, you will also be able to join Guts and his newest companions on his journey of revenge through “The Hawk of the Millennium Arc”. Additionally, the extensive story includes an impressive amount of artwork, including footage from the actual animation movie trilogy and new, original scenes portraying more detailed interactions between the members of the Band of the Hawk and other characters. Berserk And the Band of the Hawk launches on PC, PlayStation 4 and PlayStation Vita on February 21st. We will keep you updated on the game’s Western release as soon as more comes in on it, so stay tuned for all the latest news.